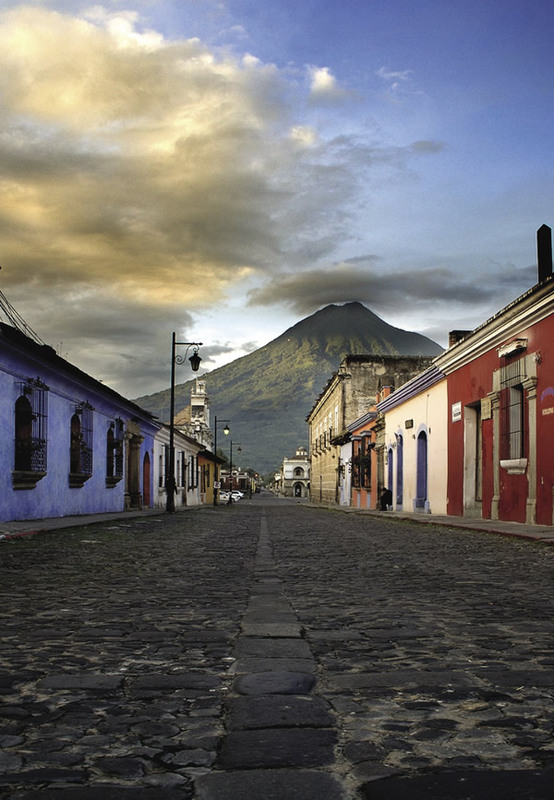 volcanoes are the region’s highest; and its artistic heritage is the most vibrant. Culturally, Guatemala embraces all the historical highlights of the Americas: an awesome inventory of temples and pyramids left behind by ancient Maya, an architectural patrimony from a once-elegant colonial period, and a modern society whose contemporary outlook remains anchored to a colorful yesteryear. Painters such as Gauguin, Van Gogh and Matisse would have loved Guatemala, a land where it isn’t only the sun that shines. Visitors also have to shade their eyes from the native dress woven by the descendants of Quiche Maya Indians in brilliant hues of vermilion, cobalt blue, hot pink, canary yellow, and sunset orange. Over 200 styles of regional garments exist in the country. While the practiced eye can tell exactly which town a Guatemalan calls home by hers or his attire, international travelers get a colorful sampling during the dozens of weekly markets and yearly festivals in the highlands. Beyond the loom, the landscapes of this Central American nation—roughly equal in size to the U.S. state Tennessee— display a kaleidoscope of colors that can change at any bend of the road: from fields of wheat, valleys of corn and fincas of coffee, to mountainsides of pine trees and horizons of volcanoes mirrored in pristine lakes. 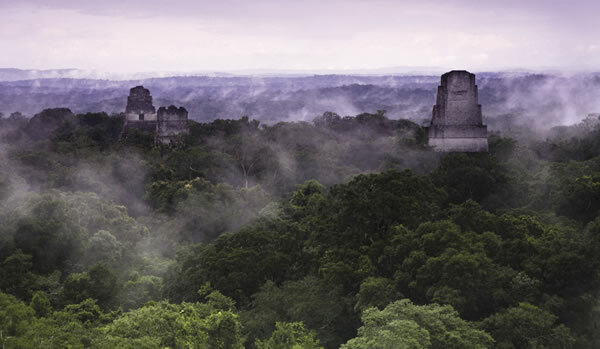 The color green blankets the vast rainforests that shelter such dramatic Maya cities as Quirigua, El Ceibal and Tikal. But go back to the rainbow to describe the hundreds of species of birds and butterflies that thrill nature lovers and photography buffs as they visit some of the 44 national parks and protected lands, or glide along jungly rivers aboard motorized craft. Guatemala is not only an especially interesting destination, but one offering a variety of special interest touring options for visitors seeking more active and involving adventures. Follow the Route of the Maya to ceremonial centers still being uncovered in the northern El Peten region, or focus on dozens of the country’s fascinating Indian market towns and their traditional crafts and customs. Stay longer and join one of the Spanish language programs, mostly centered in Quetzaltenango and Antigua. For the outdoor enthusiast, Guatemala offers birdwatching, world-class deep-sea fishing, river rafting, golf, horseback riding, volcano climbing and mountain biking. Guatemala increasingly draws honeymooners who are enchanted by the romantic and elegant posada accommodations in Antigua, and families warm to the friendliness of the people and the authenticity of the destination. Clients will want to pack an adventurous spirit and prepare to delight in getting on the road to and through Guatemala, discovering all there is to see and do in this spectacularly colorful destination. ¡Bienvenidos! 1. Spot a Rare Bird: With more than 720 identified species of birds, Guatemala’s a birding hotspot. The cloud forests of Sierrade las Minas Biosphere Reserve or Las Verapaces is the place to find Guatemala’s national symbol, the elusive and Resplendent Quetzal. 2. Go Fish: Marlin and sailfish are the record catches in the Pacific waters off the beach towns of Monterrico, Iztapa, andPuerto San Jose. 3. Fly a Kite: In the town Santiago Sacatepequez, All Saints Day (Nov. 1) is the time Guatemalans fly giant, colorful kites to communicate with their deceased relatives and friends. 4. Time to Climb: Sunrise is the time to be atop a Maya pyramid in Tikal. Go to greater heights on an afternoon climb up Pacaya Volcano to the summit crater. 5. Stop to Shop: For the finest crafts in Central America, what could be more fun than going to the source where those crafts are made: Guatemala’s colorful country markets. 6. Go to Church: Step into the Santo Tomas Church in Chichicastenango, the place to witness the blending of Catholic worship with Maya rituals and traditions. 7. Dine Out: On Latin American, Spanish, Italian, Thai or Middle Eastern specialties; better yet, take a cooking class in Antigua and learn how to re-create the country’s myriad flavors—say tamalitos blancos or chuchitos—at home. 8. Tee Off: At one of four 18-hole club courses outside Guatemala City or near Antigua. 9. Have a Cafecito: Learn all about coffee, its production and cupping process. 10. Study Spanish: Guatemala is a major destination for those looking to learn or brush up on some Spanish, and the Guatemalan accent is one of the clearest and easiest to master. Nightime in cosmopolitan Guatemala City. INGUAT wants you to learn why selling Guatemala can be so rewarding for you and your clients. We hope you will continue to expand your knowledge of this unique country, for we are confident that the more you know about Guatemala the more you will realize what an exciting and profitable destination it can be. 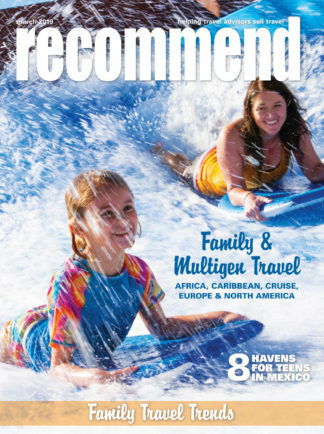 Visit edu.recommend.com/guatemala, and take the brand-new Guatemala Specialist Program. Read through the course, answer the 20-question exam and you’ll be on your way to receiving a certification as a Guatemala Specialist. 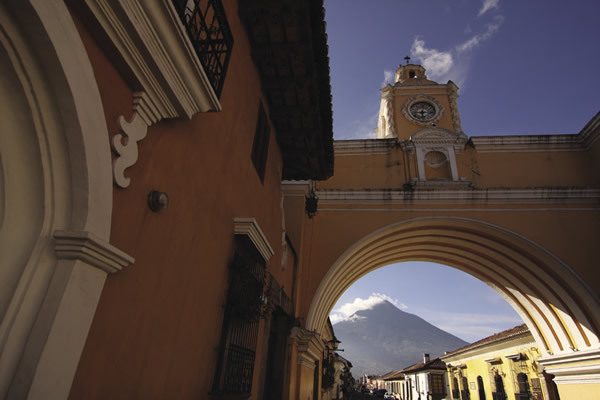 Guatemala is a many-splendored destination, a land of incomparable beauty, culture, heritage and adventure. However, selling Guatemala is nothing like planning for a resort holiday, but rather channeling client expectations into a “cultural-safari” vacation of unique sights and authentic experiences. Who will like what in Guatemala? 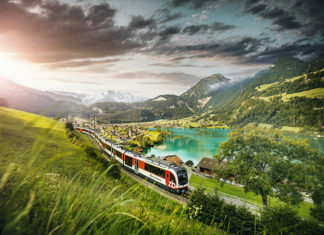 ❂ Your active travelers will thrill to hiking mountain trails and trekking jungle paths, kayaking on crystal lakes and rafting white-water rapids, climbing an active volcano and landing record-breaking marlin or sailfish, exploring a wonder-world of underground caves or swinging through the treetops on a canopy tour. 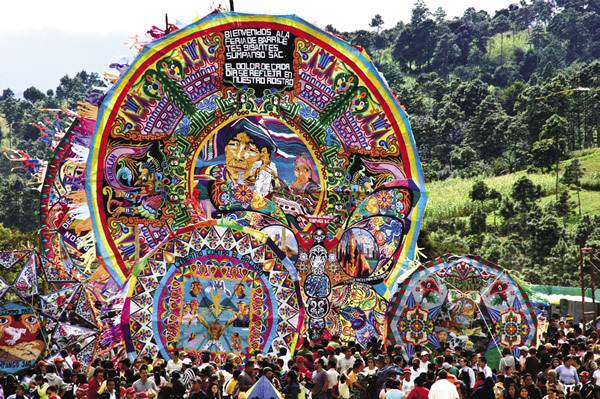 ❂ Culture buffs will be amazed at the richness of Guatemalan heritage and traditions. They will marvel at the majesty and enormity of the greatest concentration of Maya sites and treasures in Central America; be wonderstruck atop a pyramid watching the sunrise in Tikal; be enchanted to spend a night or a week in a colonial mansion inn; join in colorful folkloric festivals; participate in mysterious shamam rituals; shop for crafts at the source in highland markets; and learn to cook a Maya meal. ❂ Nature-loving aficionados will go birdwatching in a country with 700 recorded species (more than 400 in the Maya Biosphere Reserve alone); be on hand for annual turtle nestings of five species of sea turtles; delight in spotting more than 700 different species of orchids; and wake to the roar of howler monkeys when staying at one of the three lodges at the entrance to Tikal National Park. ❂ Fun-loving clients will enjoy a night out on the town in Guatemala City’s Zona Viva, dining out on a fusion of world cuisines; enjoying live music most nights in bars in Panajachel (in Lake Atitlan); and hanging with the Garifuna in Livingston, who gather nightly to listen to African rhythms and modern punta rock and reggae. 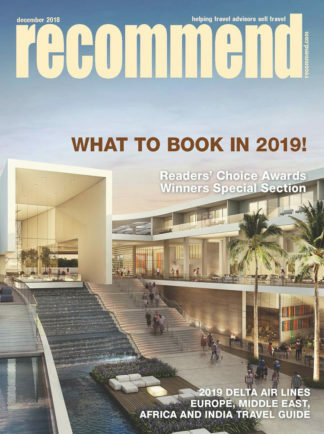 ❂ Clients will feel quite at home at world-class properties in Guatemala City, as well as a bevy of unique accommodations across the country, from jungle lodges to private villas. Antigua has an astounding assortment of client-pleasing boutique properties, offering comfort and privacy in an atmosphere of elegance and style—the “real deal” in colonial-era restoration and atmosphere, newfound favorites for destination weddings and honeymoons. 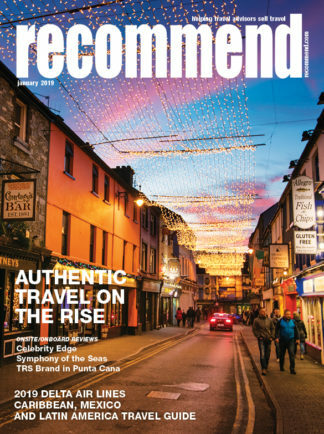 ❂ Guatemala’s grand variety of ecosystems and colorful cultures adds up to a destination seemingly designed by National Geographic to market travel programs to such groups as birdwatchers and garden clubs, museums, and student and alumni groups. This cosmopolitan capital offers a compelling mix of shopping centers, traditional markets, top hotels and restaurants, a lively nightlife and excellent museums. 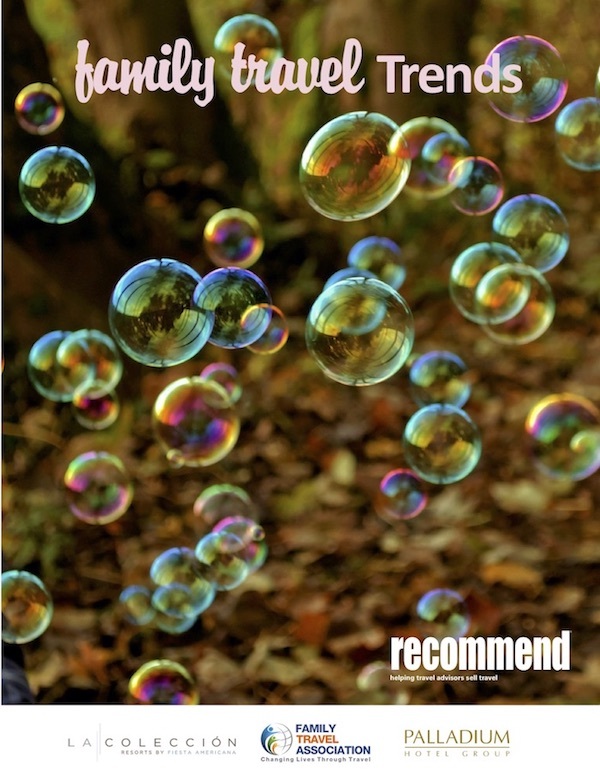 It provides an essential introduction to the history and culture of Central America’s most colorful country. 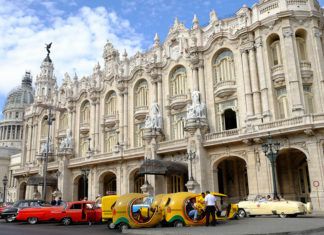 Some of the city’s most impressive buildings, such as the National Palace, border the Parque Central (aka Plaza de la Constitucion), as does the capital’s most impressive religious building, the blue-domed Metropolitan Cathedral, which houses some of the country’s most valued religious treasures, including the Virgin del Socorro, a statue transported by the conquistadors in the 16th century. Smaller houses of worship to include on a tour are the baroque San Francisco Church, famous for its wood carvings that include a grand main altar, and La Merced, with the most ornate facade in the city and interiors adorned with distinguished religious art. Museums in Guatemala offer first-time visitors an excellent introduction to the ancient sites they will see in the hinterlands. Some of the finest and most intriguing are located just off Avenida La Reforma on the grounds of the Francisco Marroquin University campus. One of the city’s museum gems is the Museo Popul Vuh, whose artifacts—ceramics, stelae, funeral urns and baroque altarpieces—cover Guatemalan civilization from the pre-Classic period to the Colonial era. The National Museum of Archaeology is the third point in the essential museums triangle. It presents a treasure house of original monuments from Guatemala’s archaeological sites, including ceramics, carved rock sculptures and stelae from Kaminaljuyu and Quirigua, barrigones (Olmec stone figures with bloated bellies from the Pacific Coast sites), hieroglyph panels from El Peten, and a splendid jade mask. Seemingly on the outskirts of the capital, but part of the capital (Zone 7), is one of the oldest major ruins in the Maya world, Kaminaljuyu, dating from around 300 B.C. About 200 mounds have been researched, and three excavated areas are open to the public. If the mounds seem modest, tell clients to head for the best perspective on this important city-state, the state-of-the-art Miraflores Museum, dedicated to the history of Kaminaljuyu. After sightseeing, visitors come to shop. 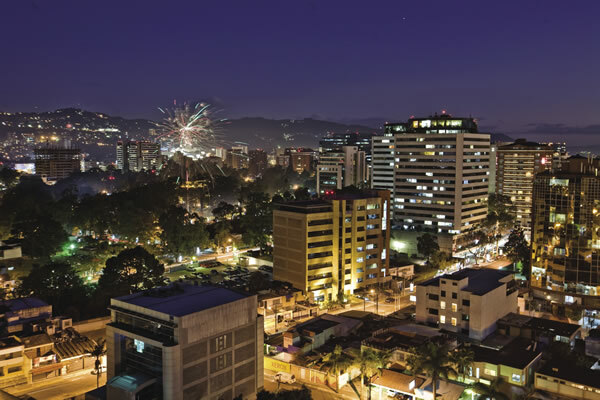 Guatemala City has no shortage of shopping malls, but international travelers are most interested in the country’s fine crafts. The largest emporiums are the Mercado Central, jam-packed with stalls of textiles, typical clothing and leather goods above ground, and fresh produce below; and Mercado de Artesanias, out by the airport and a more relaxed place to shop for crafts. There are also lovely specialty boutiques featuring handmade items, from home furnishings to jewelry. Zones 9 and 10 make up the Zona Viva, an upscale neighborhood where dozens of old mansions have been converted into fine restaurants, nightclubs and art galleries, showcasing works by contemporary Guatemalan artists. There are top restaurants in this part of town serving international/fusion cuisine, as well as good restaurants in Zona 1, particularly for lunch. Antigua is known for its colonial churches and edifices. The superstar of Guatemala’s colonial treasury is Antigua, founded by the Spanish in the 16th century (1543) and a UNESCO World Heritage site. 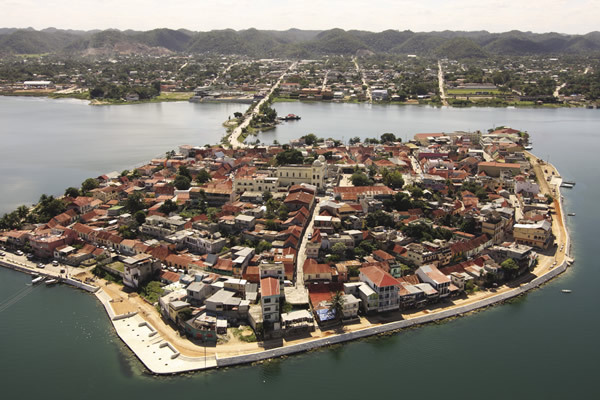 The city grew to become the economic, political and cultural capital of the Central American isthmus for some 200 years. In 1733 an earthquake damanged many of its churches, convents, colonnade government builds and private mansions, so Spain ordered the capital moved to Guatemala City. Historians and architecture buffs “rediscovered” it in the 1920s and in more recent years, a citywide restoration program has been put in place under the watchful eye of the National Council for the Protection of Antigua. In Antigua, visitors will find some of the finest examples of Spanish renaissance art and architecture in the Americas: cathedrals, convents, plazas, monasteries and residences from the 16th to 18th centuries. From its glory days—1543 to 1773—many former government buildings remain around the Plaza Mayor, such as the 16th century Palace of the Captains General, which was restored in 1764, and the Church of San Jose, popularly called La Catedral. Here, architecture aficionados will find the city’s prettiest church still in use is the bright-yellow baroque La Merced, with an ornate churrigueresque (Spanish baroque style) facade of lacy plasterwork, while the vast San Francisco Church, destroyed in 1773 and reconstructed in 1960, contains elaborate frescoes, paintings and statues. The Convent of the Capuchinas, dating from 1736, is one of the city’s best-preserved buildings. Other religious monuments, often buried in bougainvillea, are simply spectacular ruins: the Convent of Santa Clara is a roofless beauty, while La Recoleccion monastery is arguably the grandest of architectural shells. 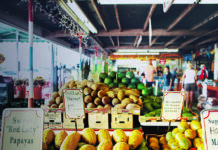 In Antigua, official market days—chaotic and colorful—are Mondays, Thursdays and Fridays when the villagers from the vicinities roll in and spread their wares north and west of the main Antigua Market building. Mercado de Artesanias is another emporium whose tightly packed stalls display masses of craft. Visitors will find that lovely Antigua is a pleasant mixture of Maya Spanish colonial influences, part of the appeal that draws scores of international students studying at the Spanish-language schools. Here, too, lives much of Guatemala’s expatriate population, many of whom now occupy the city’s signature historic mansions, painted in wonderful sorbet-like shades of lime, lemon, raspberry and mint. These mansions also house boutique shops full of high-quality handicrafts, including wood carvings, traditional textiles, ceramics, jewelry and home decor items; art galleries; and specialty chocolate shops. Historic mansions have also been converted to adequately host fine restaurants, and another strong part of Antigua’s appeal for travelers is its bounty of wonderful B&Bs in former mansions. Antigua also offers its guests a host of interesting day tour options. 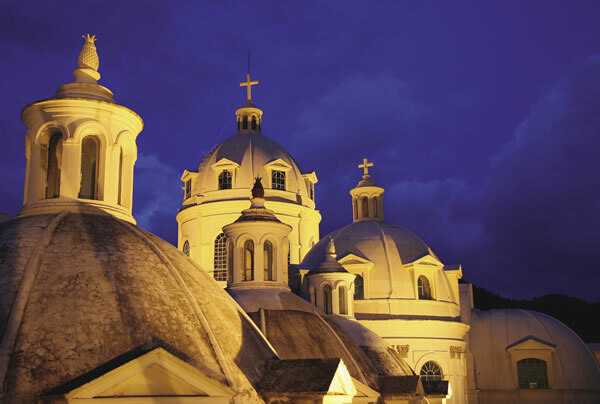 One pick would be an excursion to San Juan Comalapa, best known for its tradition of primitive folk painting. Scenes of festivals and ritual dances predominate in today’s local artists’ creations, and market days are Tuesdays and Sundays. Also in the vicinity are Santa Maria de Jesus, which holds a major market on Sundays and is at the foot of Volcano Agua; the artisan village of San Felipe, which has some of the area’s finest jade, silver and ceramic work; Pastores, which is ground zero for leatherwork—the place to come for handmade cowboy boots; San Lorenzo El Tejar, the place to soak in hot springs; and Cerro Alex, a hilltop eco-park near San Lucas Sacatepequez that is the place for birdwatching. 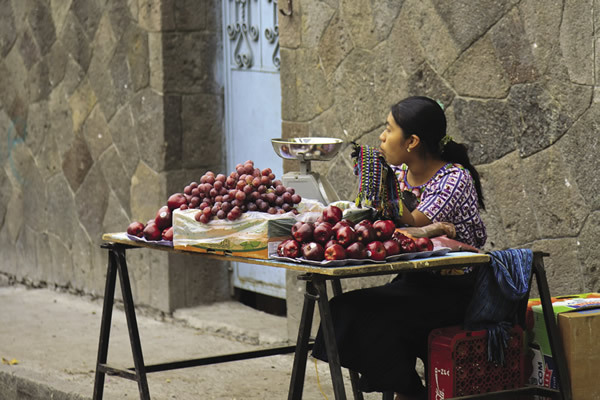 Woman in traditional attire selling fruit in Santiago Atitlan. Lake Atitlan is Guatemala’s most majestic natural wonder, a mile high, and breathtakingly beautiful by day, although stunning at both sunrise and sunset as well. Framed by three massive volcanoes: Atitlan (11,565 ft.), Toliman (10,340 ft.) and San Pedro (9,992 ft.), its misty blue waters occupy a crater that’s 12 miles long, six miles wide, and over 1,000 ft. deep, formed by a massive volcanic eruption some 85,000 years ago. Roughly a 3-hour drive from Guatemala City or Antigua, Lake Atitlan’s economic center is Panajachel, where most of the hotels and tourist facilities are located; it’s the largest of the dozen indigenous villages around the lake. Inhabitants of these villages are direct descendants of the Cakchiquel, Tzutuhil and Quiche ethnic groups. The easiest way to visit the villages is by boat, leaving from Panajachel and other points around the lake, and stopping at the docks of many villages. This is also the center for arranging volcano climbs, mountain biking, kayaking from village to village, and fishing. Travelers with only a day or two usually head for Santiago Atitlan, home to the Tzutuhil people, whose women dress traditionally. Women line the streets selling clothing, table runners, carved birds and other items. This is a village whose townspeople keep the tradition of praying to Maximon, a highland deity represented as a mannequin dressed in a black suit and hat, often smoking a cigarette or cigar, surrounded by candles, incense, smoke, prayers and offerings such as rum or moonshine—altogether creating a powerful experience for worshippers and visitors. More formal worship is carried on in the 16th century Santiago Apostol Church, admired for its carved wooden statues. The village’s colorful market really gets going on Fridays and Sundays. There are few accommodations in the village, although very lovely places to stay elsewhere around the lake, including on the outskirts of Panajachel. On the other side of town, your clients can drive (or take a water taxi) to the quaint village of Santa Catarina Palopo, with a pretty whitewashed church. Accessed by road and boat and second only in popularity to Panajachel is San Pedro La Laguna, whose distinct international vibe is provided by visitors in pursuit of Spanish classes, painting classes, ascending San Pedro Volcano, hammock swinging, hot-tub soaking and partying. There are also two good museums here focusing on Maya culture. Close to San Pedro but accessed only by boat is San Juan La Laguna, a special village whose Tzutuhil inhabitants take pride in their craft traditions: your clients can learn all about weaving at the local women’s cooperative; naïf painters welcome visitors to their homes and workshops; and fishermen take clients out in their cayucos to share their techniques of lake fishing. The village has two language institutes and several fine little B&Bs. Another “newcomer” village is Jaibalito, also accessible only by boat, and taking advantage of a more remote location and quiet environment, lodges have sprouted up here. Not far from Panajachel, Tuesday, Friday and Sunday are market days in the Solola, where the plaza next to the cathedral is ablaze with the colorful regional garments of people from the surrounding villages. 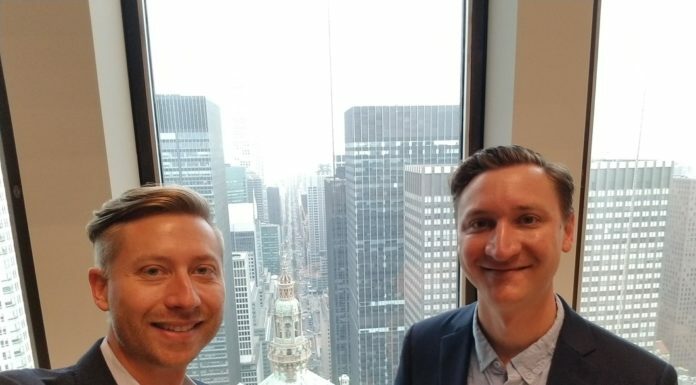 The market is huge, well-organized by products, and jammed with buyers and sellers, particularly on Fridays. Sunday mornings, the officers of the cofradias (religious brotherhoods) parade ceremoniously to the cathedral. 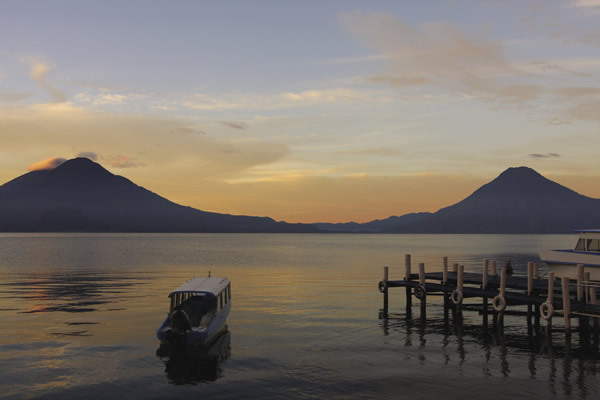 Lake Atitlan is the country’s most majestic natural wonder. For travelers who love to immerse themselves in a country’s vibrant culture, there is no corner of Central America more fascinating than the Western Highlands of Guatemala. Actually, in the view of many visitors, these highlands are what a journey to Guatemala is all about. The scenery is spectacular—rolling hills, towering mountains, pristine lakes—in this region of eternal spring. And certainly one of the most special rewards is encountering the “living” Maya, descendants of the ancient temple-builders who can trace their roots back centuries as a member of cultures such as Cakchiquel, Tzutuhil and Quiche. They carry on traditions in colorful dress, gather weekly at markets to sell their finely made crafts, and celebrate their heritage in religious ceremonies and festivals that are often a dramatic mix of Christian and pre-Hispanic beliefs. West from Lake Atitlan is Quetzaltenango, with interesting attractions such as the Catedral del Espiritu Santo and the restored 18th century Municipal Theater. Locally called Xela, this is a good base for visiting a host of villages with must-see markets, hot springs, and the archaeological sites and beaches along the Pacific coast. From Xela, drive early to San Francisco El Alto, whose Friday market is the region’s largest and certainly one of Guatemala’s best: the town squares are piled high with fruits and vegetables, and one block from the central church is the livestock market. From Quetzaltenango, close-by is Almolonga, prosperous from growing gorgeous vegetables that are sold on Tuesdays, Thursdays and Saturdays by hordes of indigenous women decked out in embroidered aprons. A primary site in this area is the most extraordinary church in Guatemala, San Andres Xecul, whose bright-yellow facade is crammed with native motifs such as angels, fruits, flowers, and animals, both painted and carved. Continue on to Totonicapan, an important handicrafts center where potters, weavers and silversmiths have their workshops in their houses; Saturdays is market day in “Toto.” Wednesdays and Sundays are market days in Momostenango, one of the most traditional highland communities famous for its woolen blankets and ponchos woven on large foot looms. No highlands visit is complete without seeing Zunil, whose market is held Mondays in the church square, although one should also walk through the wholesale warehouse at the entrance to the village where bales of flowers, cabbages and onions are sorted by women in a variety of colorful traditional highland dress. The inhabitants of Zunil worship the cult of San Simon (elsewhere called Maximon), a saint whose “house” is filled with offerings, alcohol and burning incense. The faithful come in droves to consult with a figure dressed in European clothes, its face hidden behind sunglasses; each year he moves to a different house. Visitors should shop in Zunil at the excellent Santa Ana Handicrafts Cooperative or even take a weaving lesson. From Quetzaltenango, the drive is 60 miles north to Huehuetenango (locally called Huehue, pronounced “gue-gue”), situated in highland coffee country. This is the northern highlands base for drives into the forested Cuchumatanes mountain range, and no village is more interesting than Todos Santos Cuchumatan, located in an isolated valley and populated by Mam-speaking (Mayan language) people who are accomplished weavers. Market day is Saturdays, but the village is best known for its annual horse races held Nov. 1 on El Dia de Todos los Santos. It’s a day whose festivities also include traditional foods served in the square, masked dances and lots of drinking of aguardiente. Quetzaltenango’s cupulas in the Western highland. Collectively known as “Las Verapaces,” the departments of Alta and Baja Verapaz are mostly mountains, remote and cloaked largely in verdant forests. Guatemala’s national bird, the Resplendent Quetzal, and its national flower—a rare orchid known as monja blanca or white nun—inhabit this region’s cool cloud forests. This is probably Guatemala’s most overlooked area in terms of tourism potential, for the recreational opportunities and natural attractions are boundless: waterfalls, caves, Maya ruins, lagoons and white-water rivers. 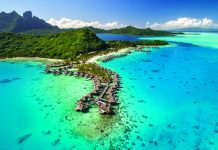 Additionally, new and increasingly comfortable accommodations with greater sophistication in services make this region a frontier for ecotourism. Travelers coming from Guatemala City (or from Lake Atitlan) will first meet Baja Verapaz, following the road that leads through the Cloud Forest Biological Corridor towards Coban in Alta Verapaz. Along the way are some of the highest waterfalls (about 426 ft.) in Central America at El Salto de Chilasco on the border of the Sierra de la Minas Biosphere Reserve, which shelters healthy populations of quetzals and jaguars. Along the same highway north is the Mario Dary Biotopo (aka Quetzal Biotopo), a national reserve exclusively set aside to protect the quetzal that makes its home among conifers and wide-leafed trees, as well as mosses, ferns, orchids and bromeliads. This resplendent and elusive bird is most easily seen in the early morning hours. The reserve, one of the best-preserved forests in the country, has two well-maintained nature trails. Visitors then head north in the direction of Alta Verapaz’s provincial capital Coban, or alternately come south over a grandly scenic and good road from El Peten. Coban enjoys a pleasant mountain setting amid green hills and coffee farms, making it a good base for trips into the northern Alta Verapaz. In town, recommend clients visit the Templo El Calvario, where the K’ekchi religious rituals are held on altars found on the long staircase up to the church—think Santo Tomas Church in Chichicastenango. Here in the region of Lanquin, water and minerals have created unique geologic formations. One is Semuc Champey, one of Guatemala’s most beautiful attractions. Declared a national monument, it sits high in the mountains where the Rio Cahabon cascades down into a giant cave before re-emerging a few hundred feet down stream. Atop this churning turmoil of water is a giant, 450-yard-long limestone bridge holding a splendid series of calm, crystal-blue pools that are perfect for swimming. On a day trip from Coban, travelers take to drier territory just across the border of the El Peten department at the Maya site of Cancuen, a little-known ancient city with a name meaning “place of the serpents.” Rediscovered in 2000, archaeologists have uncovered one of the largest and most splendid palaces of Maya kings ever found: Its 170 high-ceiling rooms were built around 11 courtyards and spread over an area greater than two soccer fields. Closeby is the Parque Nacional Cuevas de Candelaria, with its 36-mile-long cave system dug out by the subterranean Rio Candelaria. It boasts some extravagant proportions: the main chamber is almost 100 ft. high, 660 ft. wide and has stalagmites measuring to 90 ft. in length. The caves were used by the K’ekchi Maya, and you can see some of their platforms and ladders carved into the stone. El Mico is considered to be the most easily accessible and most spectacular of the various cave tours, and in the company of a guide, the most adventurous cave enthusiast can also walk, tube and spelunk the entire underground passage in about two days. Of course, white-water rafters won’t soon forget their run on the Rio Cahabon (class II and IV), another important sporting attraction in the area. Another major natural attraction, Lachua National Park, is set deep within the jungle and consists of an almost circular pristine turquoise crater lake, perfect for swimming, with sandy shores surrounded by lush vegetation and varied wildlife. Activities here include jungle walks, kayaking on the crystal waters and on the river, sleeping in tents or hammocks, and savoring spectacular sunsets and star-filled skies. 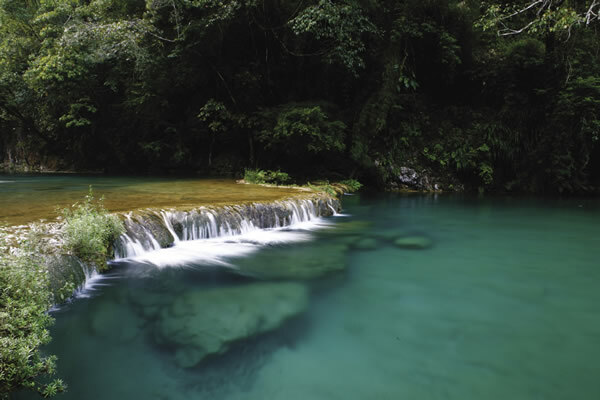 The Guatemalan experience is incomplete without a visit to its quietly exotic Caribbean coast. Livingston, the main coastal town and accessible only by water or air, sits at the mouth of the Rio Dulce— “sweet river”—on the shores of Amatique Bay, just a few miles from the Belize border. 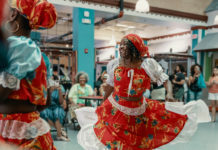 The town is made up of brightly painted wooden houses, home to an interesting mix of Maya descendents, Latinos and Garifuna people—descendants of the indigenous Caribs and slaves from Nigeria who are known for their rich culture, music and dance. By day, the choice excursion is to Siete Altares, a series of seven waterfalls joined by a jungle creek; there’s a fabulous pool by the final waterfall. An evening here offers a truly different experience: dining on the best seafood (try tapado, the local stew of spiny lobster, prawns, fish, crab, coconut, plantain and coriander), enjoying the local cocktails and dancing the Afro-rhythms of reggae or punta. Livingston is the departure point for boat trips in small motor launches or canoe-like pirogues along the roughly 20-mile-long Rio Dulce, which flows through a region well known for its exotic birds and tropical flora and fauna. Travelers glide through a changing landscape of flat rainforest to an impressive canyon whose vertical walls are hung with dense vegetation. Next, while cruising along the river, passengers see farmers tending manioc plantations, fishermen casting nets from tiny craft and the Castillo de San Felipe, a fortress built in 1652 in honor of Spain’s King Philip and used as protection against pirates. The castle sits on Guatemala’s biggest lake, Lake Izabal, the only freshwater habitat known to shelter the manatee. The lake and its surrounding ecosystem of mangroves and tropical forest is a designated nature preserve, the 80-sq.-mile Biotopo Chochon Machacas Reserve, home to crocodiles and otters, as well as manatees. Visitors can explore many of the quiet waterways of the reserve by kayak or canoe. Across the bay from Livingston is Puerto Barrios, which faces Puerto Santo Tomas de Castilla, where cruise ships dock at the new cruise terminal. Puerto Barrios is the departure point for small-boat excursions to the little-explored beaches and wetlands on the peninsula of Punta de Manabique Wildlife Refuge, which draws serious birders to its large populations of sea and wading birds, including flamingos nesting here mid-to-late spring. Turtles also lay their eggs here, and dolphins play in sheltered waters. The area is also home to Quirigua, a small yet important Maya archaeological site and a UNESCO World Heritage site. This Late-Classic city thrived from A.D. 692 to 900 trading with nearby Maya center of Copan across the border in Honduras. The main attraction is its huge carved stelae; the tallest of these in the Maya world at over 35 ft. and weighing 65 tons. Equally fascinating are the massive carved stones in various shapes—serpents, frogs, turtles and mythical beasts—all covered with hieroglyphs. 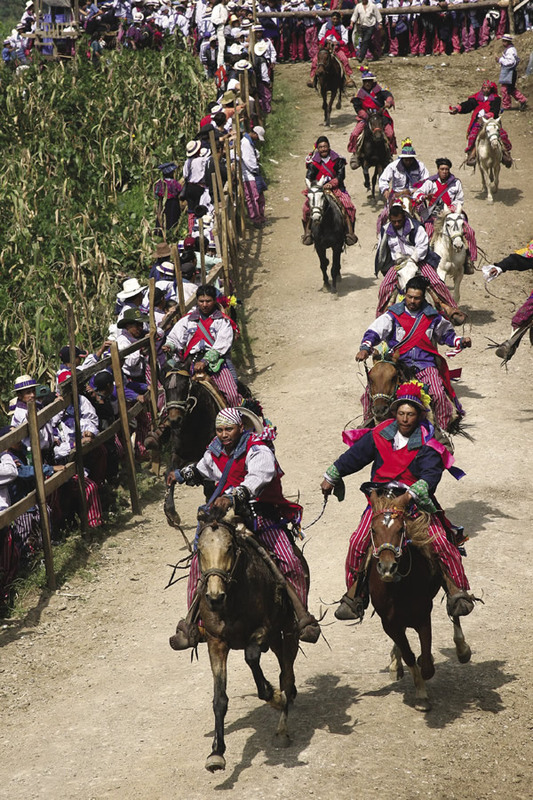 Barriletes gigantes are used in the Highlands during festivals. Because of Guatemala’s orientation, its “western” coast—that is to say its Pacific Coast—is actually for the most part to the south, so most Guatemalans refer to it as the “southern” coast. Stretching from the Mexican border, the region embraces the provinces of San Marcos, Retalhuleu, Suchitepequez, Escuintia and Santa Rosa, basically flatlands linked together between a string of volcanoes inland and the sea. The highlights along “la Costa” are archaeological and natural, plus offer some of the best sailfish angling in the world. One of the biggest draws on the southern coast for Guatemalans is the small black-beach town of Monterrico; as beaches go, the best Guatemala has to offer and the best for access from Guatemala City. In reality, its appeal lies behind the town in the Biotopo Monterrico–Hawaii nature reserve whose primary purpose is the protection of mangroves and sea turtles. Running for 15 miles along the coast and coastal mangrove swamps, this 6,918-acre reserve is bursting with bird and aquatic life, habitat for the leatherback and Olive Ridley turtles who nest and lay their eggs along the beach from June to February; birdwatching is best January and February. 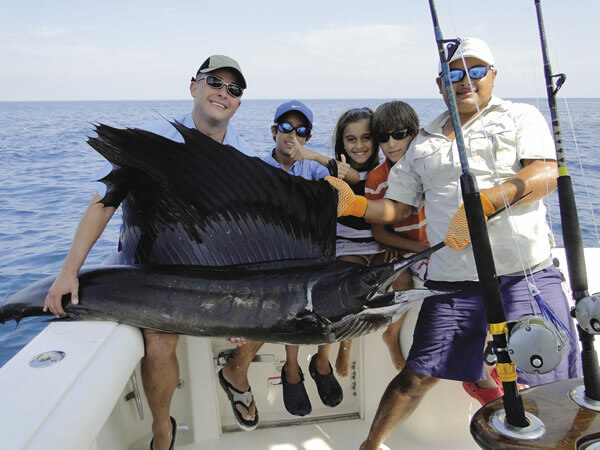 The Pacific Ocean waters off Iztapa are hailed as the “sailfish capital of the world,” with world records for a single-day catch-and-release firmly supporting these claims. Sailfish, the Holy Grail of deep-sea fishermen, are found in such numbers off the coast of Iztapa that it is possible to actually get a little bored with them. However, there are also large numbers of blue, black and striped marlin, tuna, dorado and roosterfish to keep the game quite interesting. While deep-sea fishing is in play year-round, most international fishing aficionados are from North America and come November to May; the Presidential Challenge tournament is held annually in November. 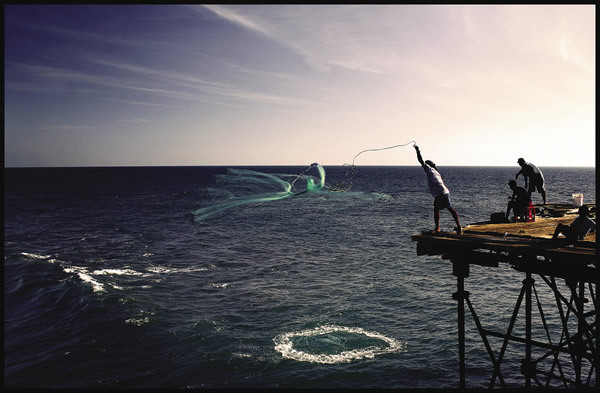 Fishing aficionados will want to visit Puerto San Jose on the Pacific Coast. The second reason international travelers come to this coastal area is archaeological, and they head for the town of Retalhuleu (locally just called Reu); access is most convenient driving from Quetzaltenango. 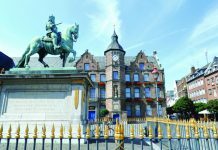 The town is compact, with a pretty colonial-era church, a bustling central plaza, and a little archaeology and ethnology museum. What’s of prime interest is the ruins of Takalik Abaj (translating to “standing stone”), 18 miles from town. 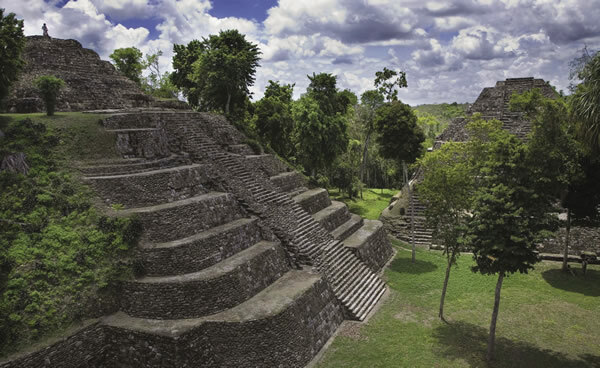 While not as famous as Tikal in the north, it is considerably older and just as important because it forms a link between Mesoamerica’s first civilization, the Olmecs, and the Maya. Native to this archaeological zone are the fascinating stone sculptures called barrigones (pot-bellies) that are actually human, although some look more like monkeys. And along the coastal highway is Santa Lucia Cotzumalguapa, another important stop for those interested in archaeology. In the fields and sugarcane fincas near the town, stand great stone heads carved with grotesque faces and fine relief scenes, the product of the enigmatic Pipil culture that flourished about A.D. 500-700. The main and close-by sites to visit from here are El Baul hilltop site, a pagan site where Maya people still (and especially on weekends) make offerings; and the Museo Cultura Cotzumalguapa, with a collection of sculptures. Deep-sea fishing on the Pacific coast. Scarcely a month goes by without a new discovery among the ruins of the ancient Maya Empire, whose cities and ceremonial centers spread throughout present-day Mexico and four Central American countries, with the largest number of the early ceremonial centers concentrated in Guatemala. During the first millennium A.D., the Maya settled mostly in El Peten, Guatemela’s northernmost department, whose capital is Flores. While the ancient Maya moved through this heavily forested tropical region on foot and by boat, today’s travelers enjoy nonstop air service—as well as ground transfers via luxurious bus service— from Guatemala City to Flores. While this region has thousands of archaeology sites, the centerpiece of Guatemala’s El Peten region is Tikal, the grandest of the Maya cities, which flourished in the Classic period from A.D. 250 to 900. Today its remains cover a 25-sq.-mile area with hundreds of temples, palaces, shrines, ceremonial platforms, ball courts and plazas. At the heart of the excavated part of the site is the Great Plaza, whose surrounding five temples were the Americas’ first skyscrapers—the highest group of structures in the New World before the 20th century. The temples that face each other across the Great Plaza—Temple of the Great Jaguar or the Pyramid of the Masks—are a definite must-view, but one should also explore smaller structures and ponder the hieroglyphs carved on dozens of stelae. Not far away, Temple IV rises through a sea of treetops to a height of 230 ft., indeed the tallest ancient building in the world, and stretching beyond lie the ruins of some 3,000 other structures, recorded but only partially excavated. Built on a small island in Lake Peten-Itza and connected to the mainland by a causeway, Flores is not only the gateway to Tikal—25 miles away—but to other magnificent Maya sites, many of which border the region’s network of rainforest-bound rivers. Combining boat and overland travel, local tour operators have developed adventure itineraries that take travelers through the heart of Mayaland. On day trips from Flores or Tikal, the most accessible and excavated Maya ceremonial centers include El Ceibal and Yaxha. El Ceibal sits in a beautifully wooded site and whose stelae are among the finest sculptures of the Late Classic period; from Flores, the trip takes you to Sayaxche to board a boat for the 11-mile trip up Rio de la Pasion. 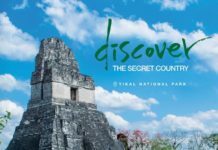 Yaxha, which after Tikal and the newly discovered El Mirador to the north, is the third largest Maya ceremonial city in Guatemala; more than 400 buildings, five acropolises and three ball courts have been found here. Must do: climb Temple 216 in the East acropolis for a bird’s-eye view of lakes Yaxha and Sacnab. Longer trips from Flores are required to visit Dos Pilas and Aguateca, two of the many ancient sites along Rio de la Pasion in the southwestern corner of El Peten. The most rugged region of all is north central Peten, where archaeologists have found El Mirador and Nakbe, neighboring sites close to the Mexican border. Carved stone monuments, nine large stucco masks and a number of enormous pyramids have been investigated to date. Although restoration is still in progress—and will be for many years—these exciting new areas of Maya discovery require 5-day, 4WD trips that begin in Flores and end in the Carmelita community, all accompanied by guides; the last stretches are covered by mule and on foot (recommended only February-April). For a day trip, small (four to five passengers) charter aircraft are available to visit El Mirador. 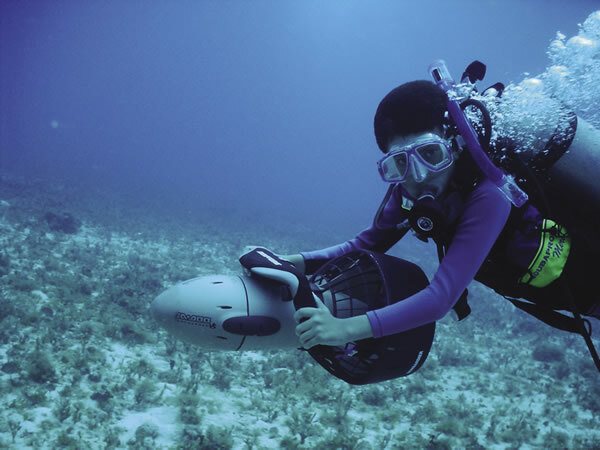 From archaeological discoveries to diving, Guatemala offers a feast of special interest vacations. Diverse and historically rich, Guatemala is not only an especially interesting destination, but one that offers natural history on a grand scale and five-star adventure to suit every skill and spirit. Let’s look at some of the ways Guatemala is just right for travelers seeking more active, adventurous and involving vacations. 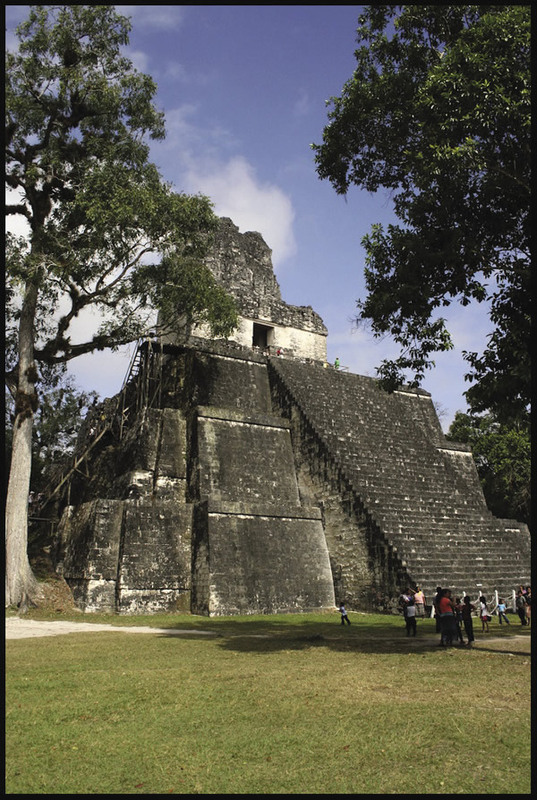 ❂ ARCHAEOLOGY—From history buffs to museum and alumni groups, Guatemala offers a treasury of special interest tours, featuring a grand trove of Maya history and the largest concentration of ancient cities, some recently uncovered such as El Mirador in El Peten. Well-planned itineraries include not only the monumental ruins of major sites, but observation of traditional ceremonies (such as the Pascual Abaj shrine at Chichicastenango, or the altars on the shores of Laguna Chicabal outside Quetzaltenango) and village festivals that combine Maya and Christian beliefs. While Guatemala has the grandest inventory of Maya sites, as well as a population well represented by “Living Maya,” touring here is only part of La Ruta Maya, which is easily explored traveling overland to Copan in Honduras and to the ceremonial centers of Caracol and Xunantunich around San Ignacio in Belize. ❂ ARTS & CRAFTS—Guatemala is world famous for the artistic quality and variety of its crafts, drawing everyone from avid folkart aficionados and international artisans to shopping mavens. Weaving tops the craft list, with each village producing its unique style, patterns and colors. Among the most fascinating handwoven pieces are huipiles, blouses embroidered with flowers, birds or bolts-of-lightning motifs in a dizzying array of colors. Wood carvings are a major craft, with ceremonial masks made in Chichicastenango and other highland villages; El Ramate on Lake Peten-Itza is another center. Jade jewelry mined from local quarries is a popular craft, and “primitivist” paintings from the villages of San Pedro and Santiago are well-worth crossing Lake Atitlan to see in galleries and artists’ workshops. Outside Antigua, visit the painters’ studios in the village of Comalapa, well-known for its tradition of naïve painting. ❂ NEBAJ & THE IXIL TRIANGLE—The remote northern Quiche province was once ground zero in the civil war campaign against indigenous populations. Today, in the triangle formed by Nebaj, Cotzal and Chajul, with dozens of outlying villages and hamlets, the people (with the help of development organizations and NGOs) are working towards a better future. This is the best area to glimpse into the country’s timeless rural life and landscapes; observe proud traditions; hear the Ixil language; visit sacred Maya sites still in use; see the Nebaj women in their beautiful purple, green and yellow pom-pommed hair braids and embroidered huipiles and rebozos (shawls), or the women of Chajul wearing maroon cortes (wraparound skirts), earrings made from silver coins, and bright-blue or purple huipiles. Special guided treks are available to seven parts of the Ixil region. 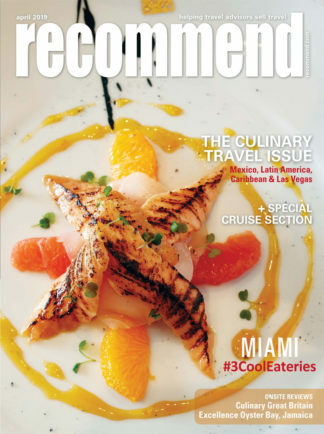 ❂ CUISINE—A sure recipe for a top culinary experience includes dining out in elegant to rustic restaurants, visiting the wildly colorful food markets all over Guatemala, and taking cooking lessons with accomplished Guatemalan chefs in Guatemala City and Antigua. Basically everyone learns that the traditional Guatemalan diet centers around tortillas, tamales (cornmeal-wrapped meat pies), black beans, white rice and platanos (bananas). Meat is essential to meals, served up as bistek (beefsteak), and parrilla mixta (mixed grill of chicken, beef, pork and sometimes a German-style sausage). Guatemala’s most famous regional dish is pepian de pollo, chicken smothered in a greenish sauce made from pumpkin seeds and spices. Chicharrones (bits of pork crackling) are also hugely popular. Dishes often come with a side accompaniment of guacamole and chirimol (a red tomato sauce). Cuisine-oriented travelers will also want to know of additional Guatemalan riches, including the country’s superb coffee. A must is a visit to a coffee plantation to observe the process of coffee production from harvest to roasting. Coffee farms are largely centered in the Western Highlands. Some properties are on large private reserves and combine birdwatching, hiking, mountain biking and other outdoor activities with a visit to the coffee farm. ❂ SPANISH LANGUAGE STUDY—Guatemala is a major destination for folks looking to learn or brush up on Spanish. And there is a good reason to study in this country, for Guatemalan Spanish is considered one of the most pure, in terms of clarity and pronunciation, in the Americas. Courses come in varying lengths and intensity, and many include cultural activities and day excursions. Some of the language programs have reciprocal relationships with U.S. universities, including credit for course work. Most Spanish schools can arrange for homestays with a local family for a total immersion experience. 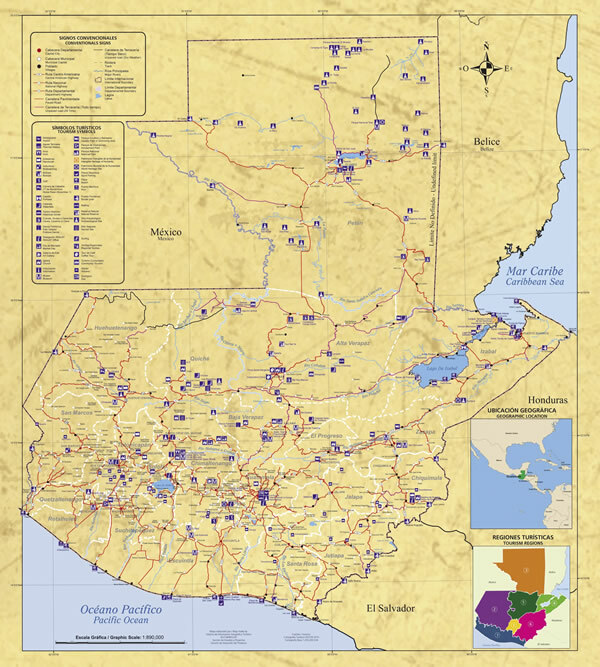 The majority of schools are located either in Antigua, Panajachel or Quetzaltenango. White-water rafting and exploring Maya ruins are just some of the many adventures available for active vacationers. ❂ VOLCANO TREKKING—Volcano ascents are often the major highlight of an action vacation in Guatemala. There is nothing as primal as climbing the flanks of an active volcano or peering down into an erupting crater. Both experiences are possible on a climb to the summit of Volcan Pacaya, near Antigua and the most accessible volcano trek. Other volcanoes in the area are Volcan de Agua, twin-peaked Acatenango and Fuego. In general, the weather and views on all volcanoes are better in the morning. And whether on a day trip or camping out overnight, booking with a reputable agency is advised. ❂ SPELUNKING—For avid cavers, the country’s super-cave system is the Candelaria (a 7-mile-long network) and Lanquin Caves, both in Alta Verapaz. Fairly new on the spelunking circuit is the Actun Kan (Cave of the Serpent) near the town of Santa Elena in the El Peten region. 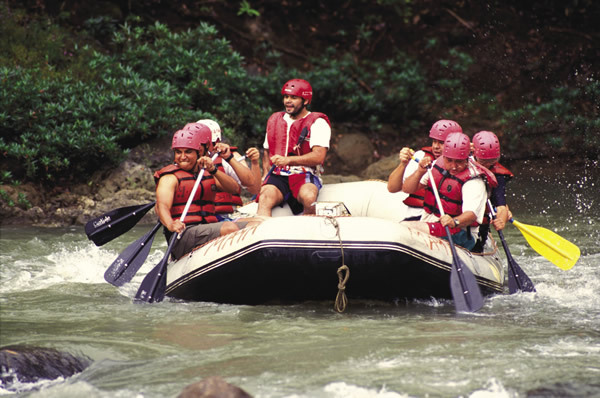 ❂ WHITE-WATER RAFTING—Rafting in Guatemala goes from mild to wild. Trips are available on the Cahabon, Usumacinta, Chiquibul, Motagua and Naranjo rivers. Expeditions may include stops at remote archaeological sites, hot springs, caves and native villages. ❂ FISHING—Rivers and lakes offer fine fishing grounds, particularly the rivers of El Peten where bass is the big catch, and Lake Atitlan where black bass and perch are found. Lake Izabal has the largest variety of fish, including shad and bass. But the most exciting angling is along the Pacific Coast at Iztapa where world-record highs register for sailfish and marlin. ❂ GOLF—There are several good golf courses close to Guatemala City as well as outside Antigua. ❂ MARIO DARY RIVERA BIOTOPO, a national park that serves as a refuge for the Resplendent Quetzal, is a protected cloud forest located 95 miles from Guatemala City. Visitors explore the park via a short trail with an easy 1-hour ascent or take a half-day trek with some steep climbing required. ❂ CHOCON MACHACAS BIOTOPO, located on the Rio Dulce, which flows inland from Livingston on the Caribbean coast, is an 89-sq.-mile protected area of jungle and mangrove swamps around Lake Izabal. 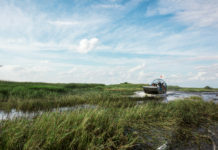 While the reserve—habitat of the manatee or sea cow—is marked with land trails, it is best visited by boat. ❂ TORTUGARIO MONTERRICO is a turtle protection project that’s a great place to learn about the life cycle of giant sea turtles. If the turtle hatchlings aren’t in season, your clients can still see iguanas and caimans and hike the nature trail. LOCATION: Guatemala is the northernmost country in Central America, bordering with Mexico, Honduras, El Salvador and Belize. CLIMATE: Guatemala enjoys a temperature averaging 75°F year-round. In the highlands, days will be sunny, nights cool to cold; temperatures can reach as high as 100°F in coastal and jungle regions; in the mountains, it can fall below freezing. The dry season in both the Central Highlands and El Peten lasts from November to April; the rainiest months are mid-May to October. POPULATION: The country’s population is approximately 15 million, and its multicultural characteristics stem from the existence of more than 22 ethnic indigenous groups. LANGUAGE: Spanish is the official language, but ethnic groups speak in many Mayan languages; English is widely spoken in most tourist destinations. GETTING THERE: Most international flights land at La Aurora International Airport (code: GUA), three miles from the city-center, and even closer to the hotels in the Zona Viva. A few international and regional airlines fly directly into Flores Airport (code: FRS). Airlines flying from the U.S. to Guatemala City include American Airlines, Delta Air Lines, Spirit Airlines, Avianca, United, US Airways. GETTING AROUND: There are two commercial daily flights between Guatemala City and Flores (for Tikal), although most travelers get around the country by bus or shuttle bus. ACCOMMODATIONS: There are lodgings for every budget and taste in Guatemala, from deluxe to mid-market to hostel. 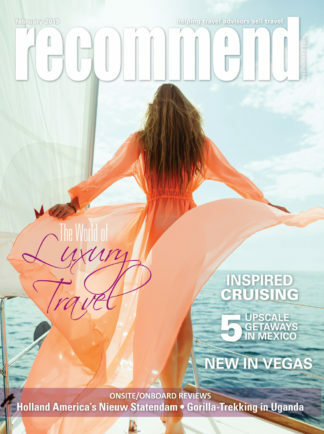 Accommodations most popular with the U.S. market are international-chain properties and boutique hotels in the capital; colonial inns in the interior; and eco-lodges in the rainforest. As in most Latin American destinations, rates are highest Christmas through Easter. ENTRY DOCUMENTS: Passport required for U.S. and Canada citizens; must be valid up to six months beyond leaving the country. No visa required for stays up to 90 days. TIME ZONE: Same as U.S. Central Standard Time (GMT-6). Daylight savings is not observed. ELECTRIC CURRENT: 110 volts. Standard American plugs are used. MONEY MATTERS: Guatemala’s currency is the quetzal in honor of the national bird. The U.S. dollar is accepted almost everywhere. ATMs are fairly common throughout Guatemala, particularly in Guatemala City and Antigua, and there is an ATM at the airport. Major credit cards are accepted, but Visa and MasterCard are more widely accepted. DEPARTURE TAX: International: $30; domestic $3. Taxes may be paid in quetzales. Pilgrimage of the Black Christ, honored with a procession, traditional dances and bullfights, takes place in Esquipulas near the Honduras border (Jan. 15). Holy Week (Semana Santa) is a moveable feast that falls the week before Easter. The celebration in Antigua is the most famous, but other ceremonies take place in Chichicastenango, Santiago Atitlan and Solola (March/April). Fiesta Nacional Folklorico Rabina Ajau, held in Coban in the department of Alta Verapaz and one of Mesoamerica’s greatest celebrations of Maya culture, features a steady stream of street fairs, concerts, parades and parties (late July for two weeks). All Saints Day & All Souls Day, celebrated all over the country, is a time in which villages call at the cemetery to decorate graves with flowers and food offerings. In Santiago, Sacatepequez local people fly large kites near the cemetery, while Todos Santos Cuchumatan stages a colorful horse race, as well as traditional dances (Nov. 1 & 2). Festival of Santo Tomas, held in Chichicastenango, includes the Palo Volador spectacle, for which men climb a 100-ft. pole, tie themselves to a rope attached to the top and wrapped around their body, then jump, spinning to the ground (Dec. 13-21).